Synopsis: Four girls. One magical, and possibly dangerous Italian summer. Family mysteries, ancient castles, long hot nights of dancing under the stars . . . and, of course, plenty of gorgeous Italian boys! The synopsis doesn't give us much to go on, but it sounds cute and I love the cover. I can't believe I have to wait 8 months to read this! In the meantime, I guess I'll have to pick up some of Lauren Henderson's other books. What are you currently reading? Right now, I'm reading a paperback and an ebook. The paperback is Some Girls Bite by Chloe Neill, and the ebook is Farsighted by Emlyn Chand. I'm not very far into the first book, but I'm about 1/4 of the way through Farsighted, and enjoying it. What did you recently finish reading? Last week, I read Being Human by Patricia Lynne (I have a giveaway going on for a signed copy - the link is at the top of the blog), Hearts at Stake by Alyxandra Harvey, and Sisters Red by Jackson Pearce. I'll have the review up for Sisters Red either later today or tomorrow. What do you think you'll read next? Well, since I'm still doing the Spooktacular Paranormal Reading Challenge, it'll be something paranormal, and god knows my list is long enough that it won't be hard to choose. I'm thinking maybe Claire de Lune by Christine Johnson. 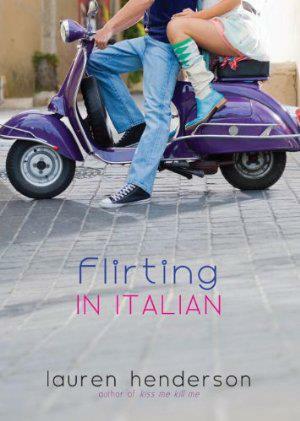 Flirting in Italian sounds wonderful =) Great pick! Doesn't sound like my sort of thing...but then it says about Italian boys... *thinks totally irrelevant thoughts about Hetalia. Don't worry about me. * Hope you enjoy it though! 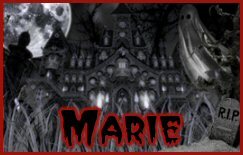 Best of luck with your Paranormal Reading Challenge! Flirting in Italian does sound like a fun cute read and am loving the setting. Great pick! This sounds really cool I saw it for the first time on someone's WoW last week. Great pick! oooh Flirting in Italian sounds cute! And I agree with you, the cover is adorable. I want to read Flirting in Italian too! Too bad June is so far away haha! but that'll just make it a good summer read, nice and relaxing and just plain fun!